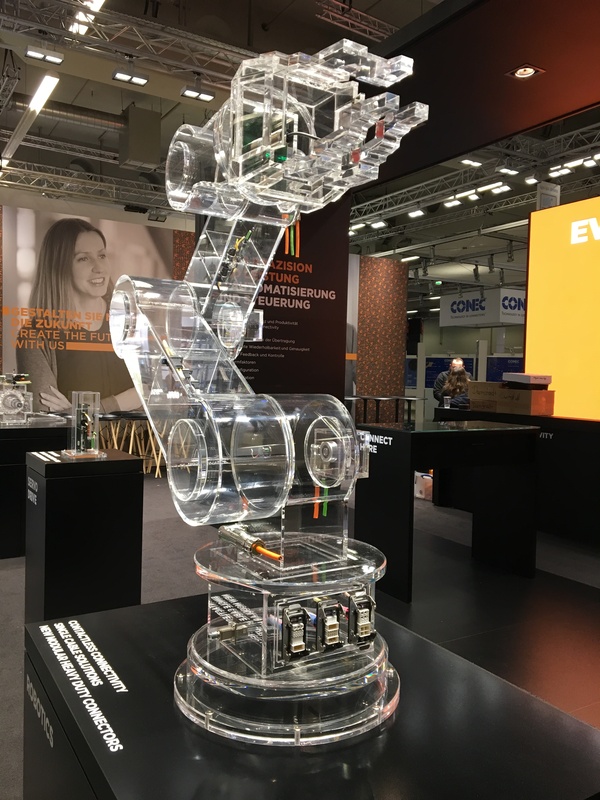 DARMSTADT, Germany – January 25, 2019 – TE Connectivity (TE), a world leader in connectivity and sensors, will participate in the Automation Technology Expo (ATX) West from February 5-7, 2019 in Anaheim, CA, to showcase its industrial machinery, material handling and robotics portfolios. Robotics - As industrial production develops, robotics will be at its heart. But even the smartest robots are only as good as the connectivity solutions that transfer and manage their signals, power and networking capacity. Servo Drives - Increasing data volumes involved in communication with the servo drive requires highly reliable transfer connections that operate at the highest possible speeds. Control Cabinets to Prevent Downtime – TE’s new design for control circuit wiring decreases machine maintenance costs and helps prevent downtime. Industrial Machinery – The TE Intercontec connectors offer reliable and easy to install solutions to connect power, signal or data - or all combined - these connectors provide a customized solution for customer applications. Visitors to the TE booth at ATX West can discover the many ways TE can help empower customer designs and products, or visit https://www.te.com/usa-en/about-te/events/atx-2019.html to view the TE product offerings or to schedule a meeting with our experts. ATX West is where serious professionals find the technologies, education, and connections to stay ahead in the global advanced manufacturing community. In addition to more than 1,900 cutting-edge suppliers showcasing the latest solutions in automation and assembly, robots and robotic accessories, and more, ATX West includes the industry's leading educational offering with the 3D Printing and Smart Manufacturing Innovations Summits, the MD&M Medtech Conference, and free industry education at the Expo. https://atxwest.designnews.com. TE Connectivity engages with advanced manufacturing community at ATX West.